College bowl games for the 2018-19 season begin Dec. 15. Here’s a basic guide for how to bet on college football bowl games, including how bets use odds. 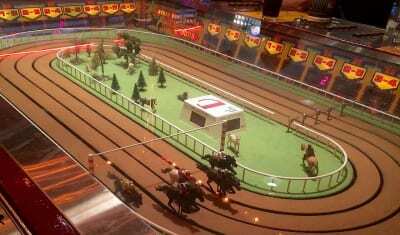 Sigma Derby, a beloved mechanical horse racing casino game, has been removed from MGM Grand in Las Vegas. However, the game still remains at The D hotel. In a new sponsorship deal, Caesars will become the first founding partner of the Las Vegas Stadium, where the Las Vegas Raiders will play their home games. Numbers weren’t the only thing discussed in Caesars Entertainment’s Q3 earnings call. The casino giant also talked sports betting expansion plans. There’s no change in the Sports Betting Power Rankings as peak season arrives, but there is a fair amount of movement in between the lines.